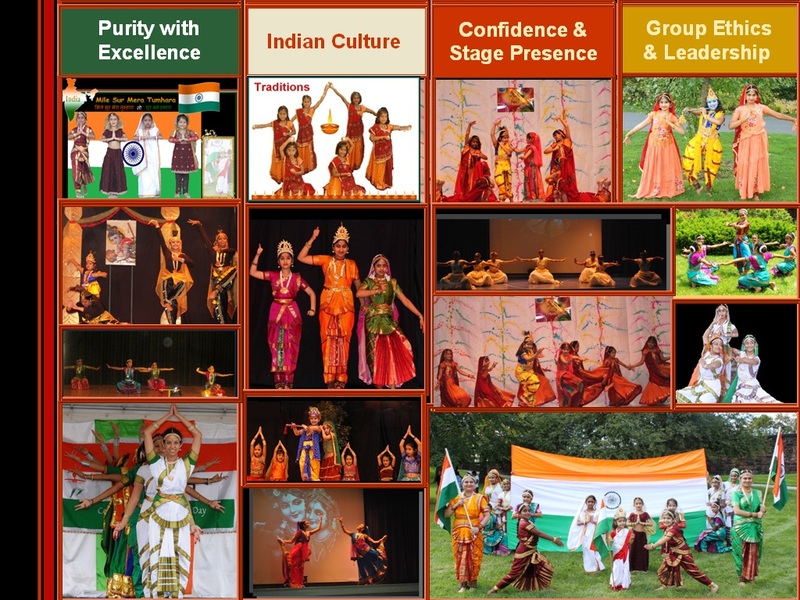 Our Education focuses on building humble personalities with self-confidence & self-esteem, confident from very young age respecting Indian traditional values and dedicated individuals striving for perfection and works smoothly in groups. 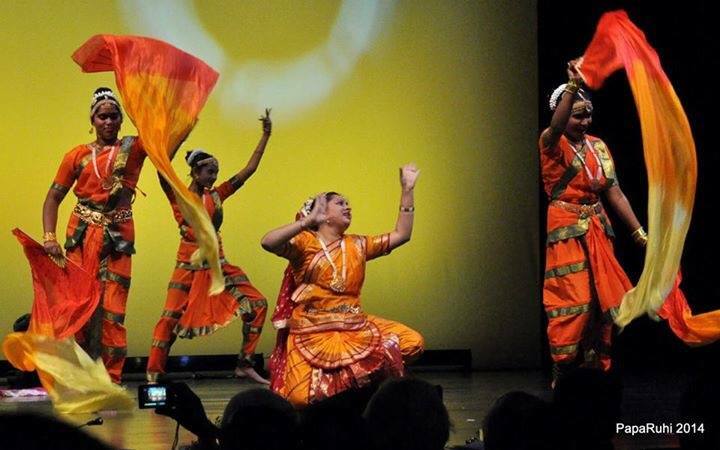 Promote the Indian culture and traditional arts at international level. 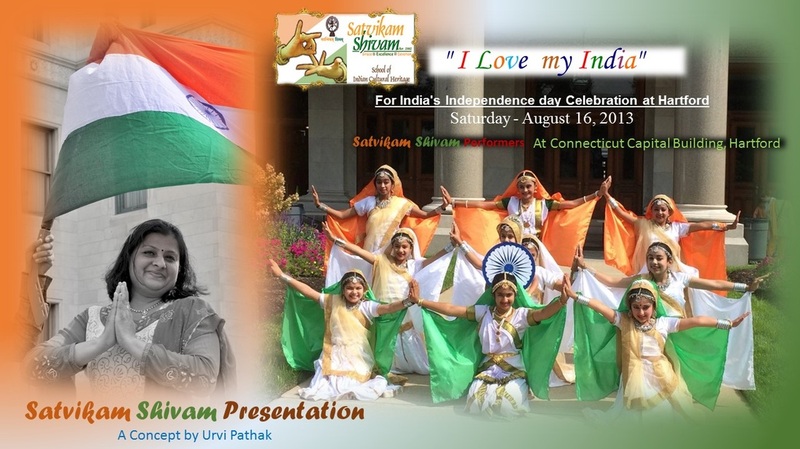 Satvikam Shivam is a leading Indian Cultural Institution in Connecticut, USA founded in 2002 for education in Indian dances, arts and Indian culture with a vision to Preserve, Promote & Pass on Indian dances and cultural heritage in original format with divine charm. 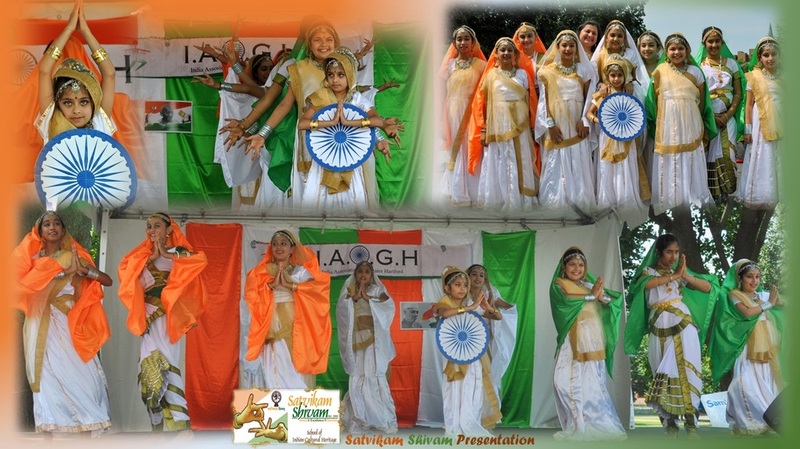 Satvikam Shivam has trained more than 300 students at beginner, intermediate & advance levels. 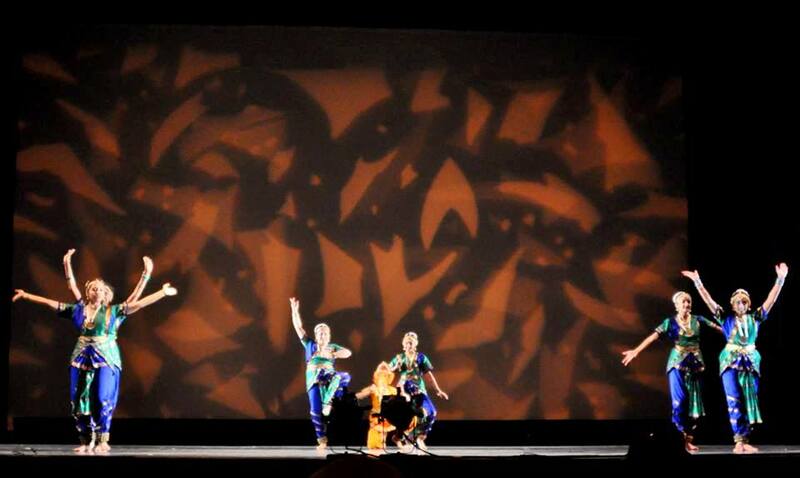 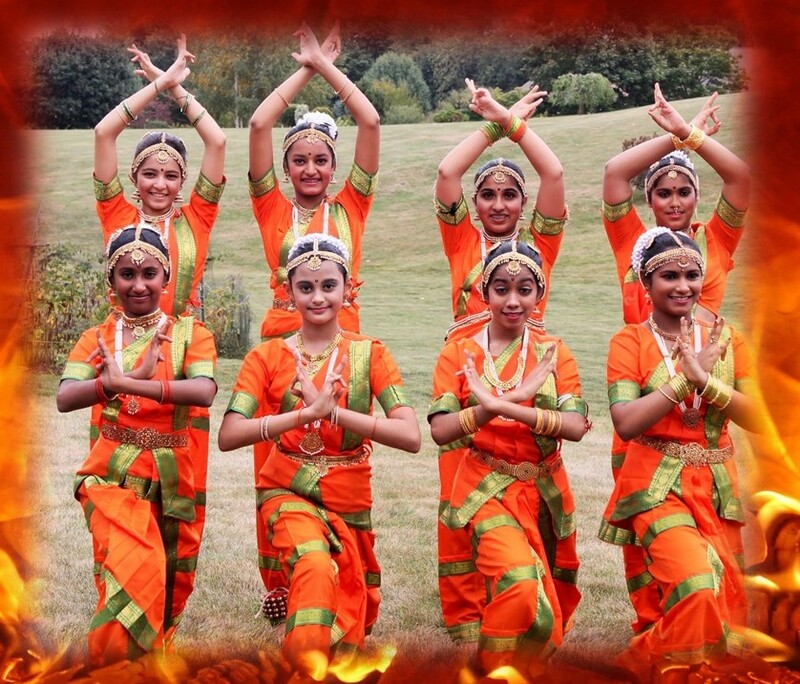 School's numerous Bharatanatyam, Folk, Creative, Fusion and Theme productions are famed in tri-state area. Our dance education is a comprehensive approach to the fine arts by thorough grounding in both detailed theory and technique of dance. 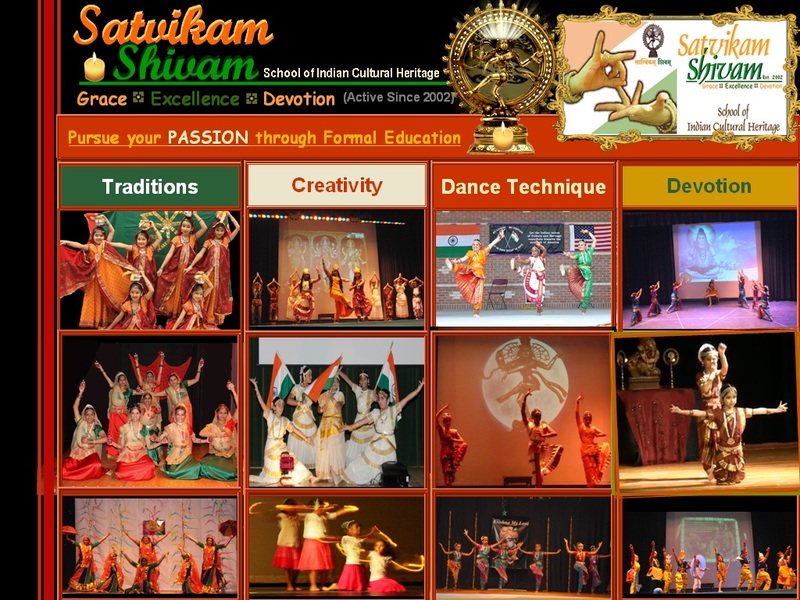 Satvikam Shivam's promotes Indian culture through presenting a variety of Indian classical, folk, & creative theme dances and makes efforts to present ancient Indian Culture, old or rare literature pieces, traditional folk songs & famous poems etc. 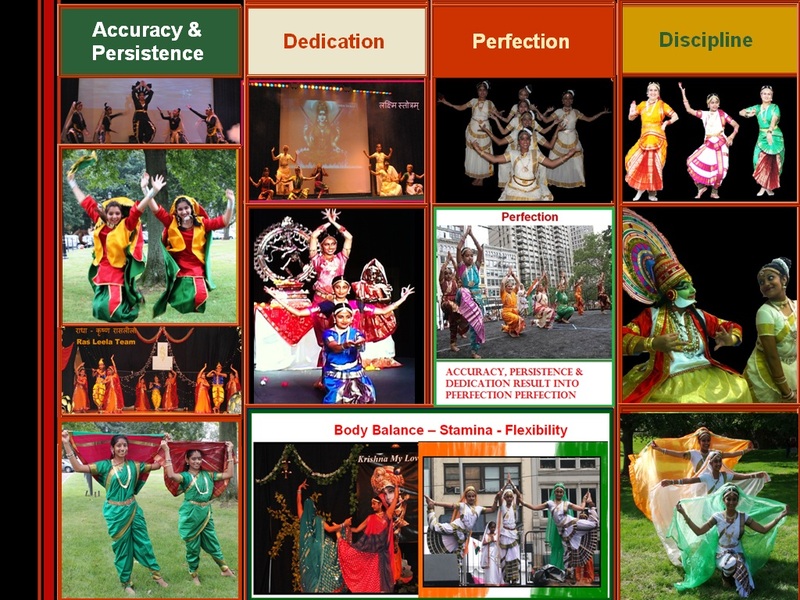 Abhinaya: Facial Expressions - NavaRas : Shanta(Serenity)-शान्त , Veer(Courage)-वीर, Adbhut(Wonder) आद्भुत, Bhayanak (Fear)-भयानकः, Shringar (Love) शृन्गार, Karuna (Compassion) - करुणः , Raudra (Anger) - रौद्र , Bhibasta (Disgust) -बीभत्स , Hasya (Happiness, Mirth) –हास्य,Bhaav, Ashta Nayika... etc. Urvi Pathak – is a Bharatanatyam dancer, Indian dance performer, Choreographer, Teacher, an Artistic Director and Kalaguru at “Satvikam Shivam”, School of Indian Cultural Heritage, Newington CT. She has 11 years of training and a degree - Nritya Tirth in “Bharatnatyam”. She has about 20 years of experience choreographing professionally Bharatnatyam and Indian dance items. 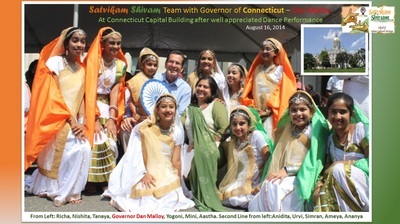 Urvi Pathak founded Satvikam Shivam school in 2002 and school is active in greater Hartford, CT area with a vision to preserve, promote and pass on Indian dances and cultural heritage with its original divine charm and has trained more than 300 students at beginner, intermediate and advance levels. 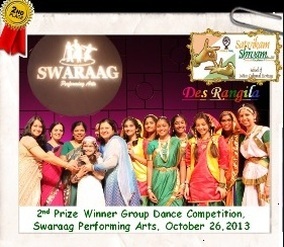 Some of them have performed Arangetrams. 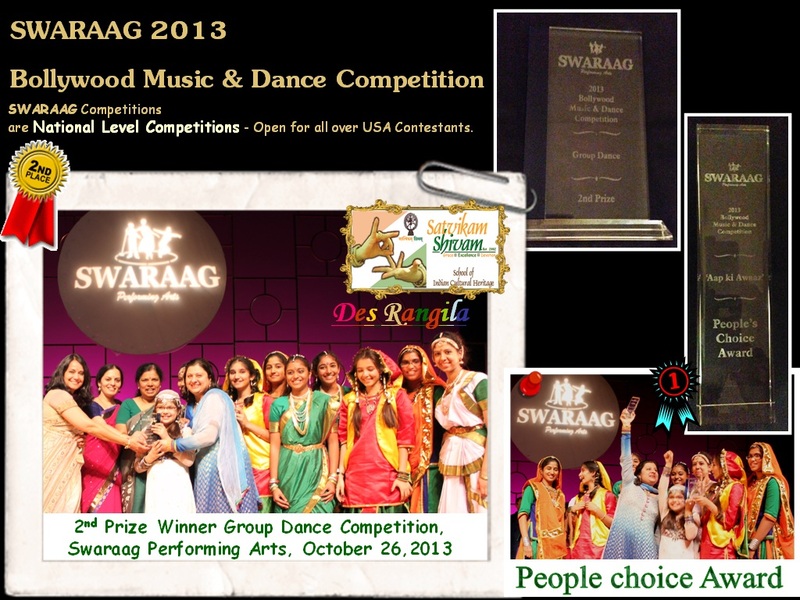 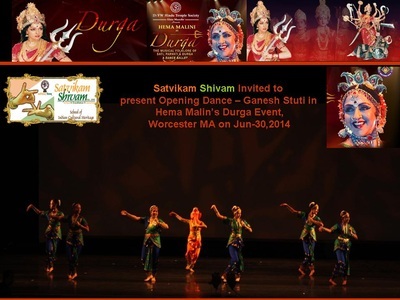 She also has judged many dance competitions in New England area of USA including Boston Saragam 2012. For her Choreographies and under her guidance Satvikam Shivam has won National level competitions of Indian Dance. 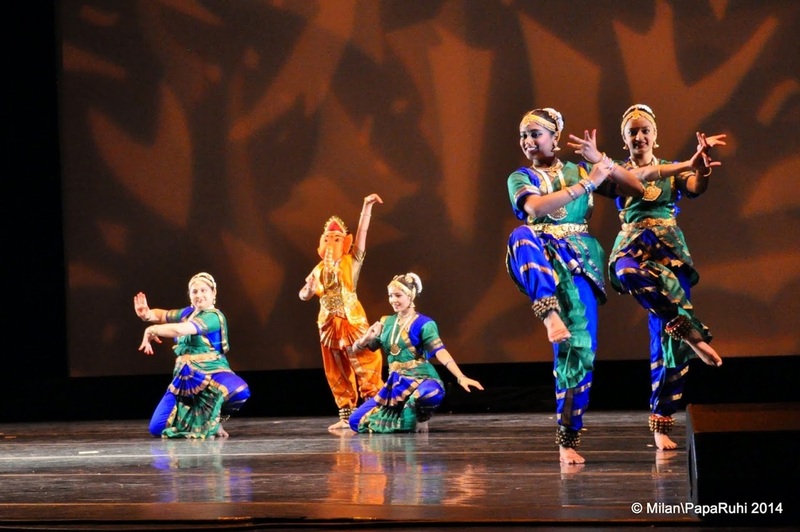 Her numerous solo and group Bharatanatyam choreography and creative fusion dance productions are famed in tri-state area. 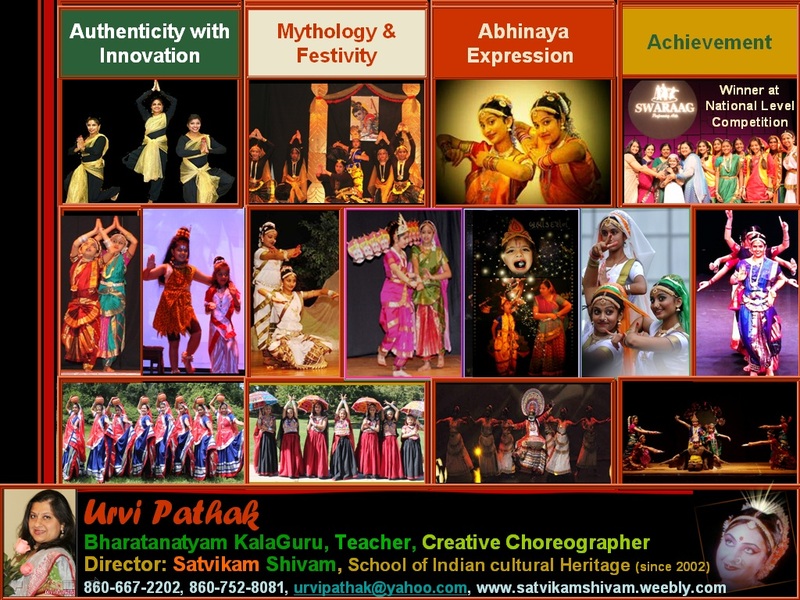 Satvikam Shivam has performed about 250 dance productions in these years - Bharatanatyam Dances, Mythological Theme Dances, Patroitic Theme dances, Creative Dances, Social Message theme dances, Various Traditional Folk Dances.... 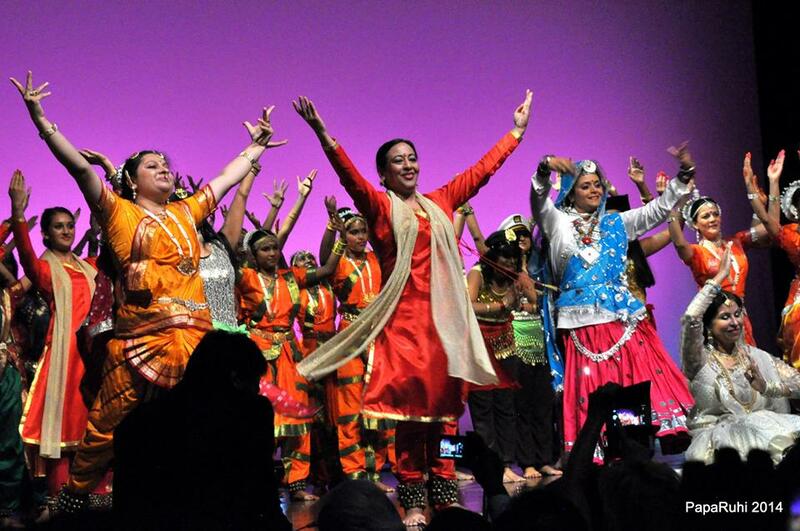 Etc..
Dance is her absolute passion. 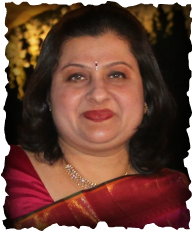 She believes that true art and creativity comes from within. A dancer’s life is a continuous process of artistic evolution. 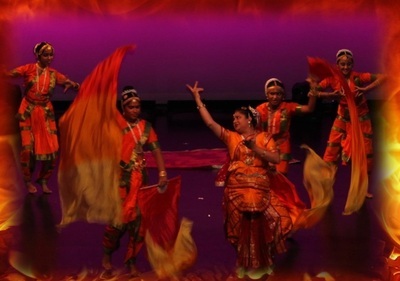 Dance, for her is pure joy, spiritual devotion to vibrantly physical, purely intellectual to intensely emotional. 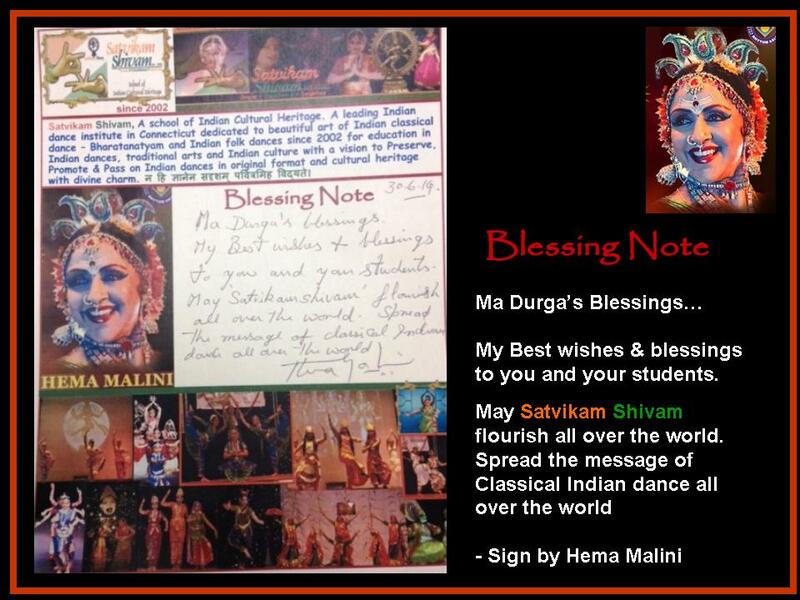 At its most intense level, it is her prayers and appeal to unite with the ultimate. 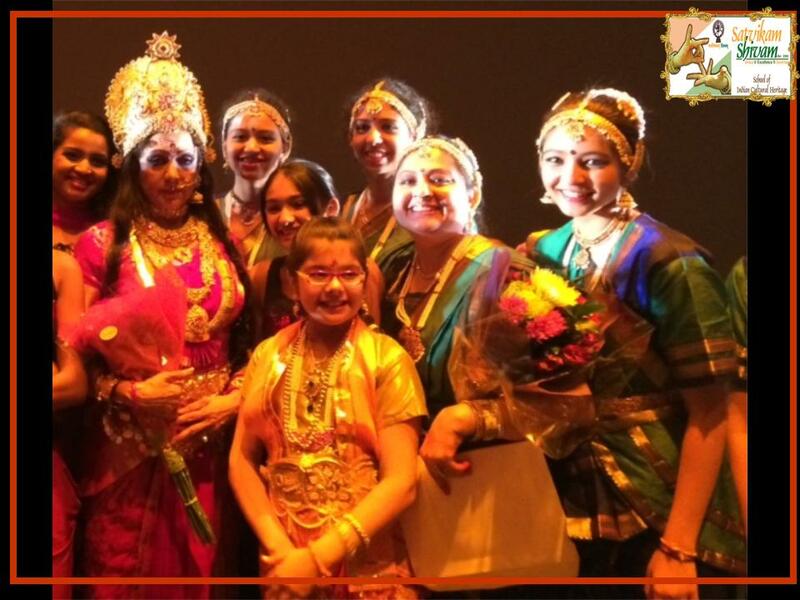 Satvikam Shivam School was invited on Sep-21, 2014 to perform for “Voice Against Dowry” at “Shakti” – Miss India Connecticut pageant at Bushnell Theater Hartford. India killed 2000000 girls in last 20 years before birth. Dowry is one of the main reason for female infanticide. 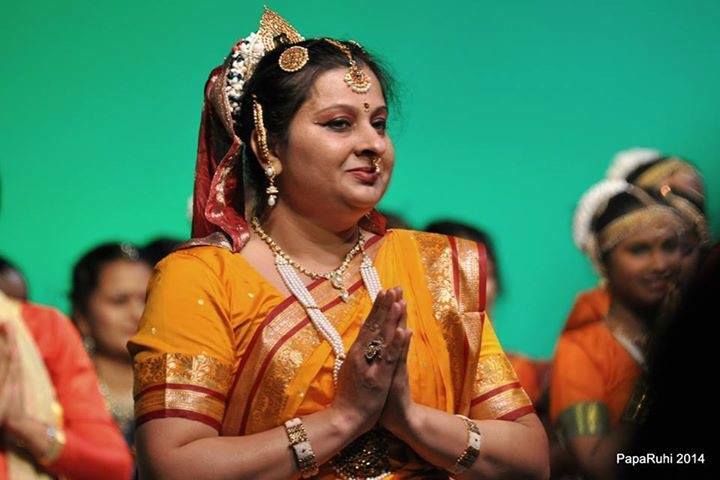 India counts 1 woman killed every hour over dowry. 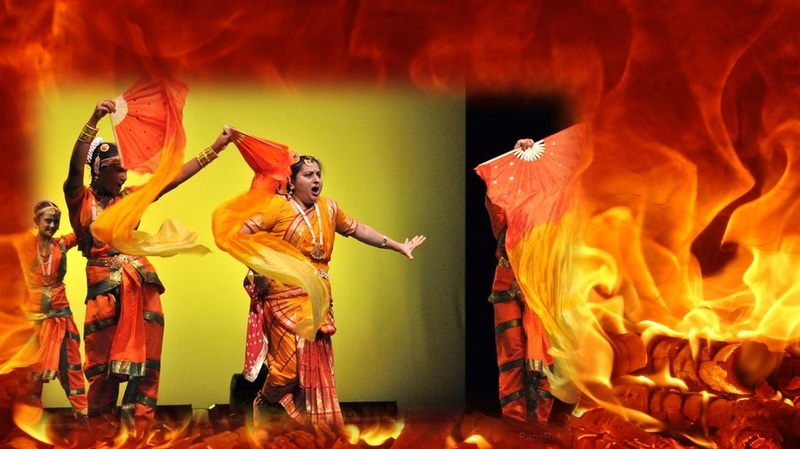 National Crime Records Bureau says 8,233 women were killed in India in 2013 because of dowry. 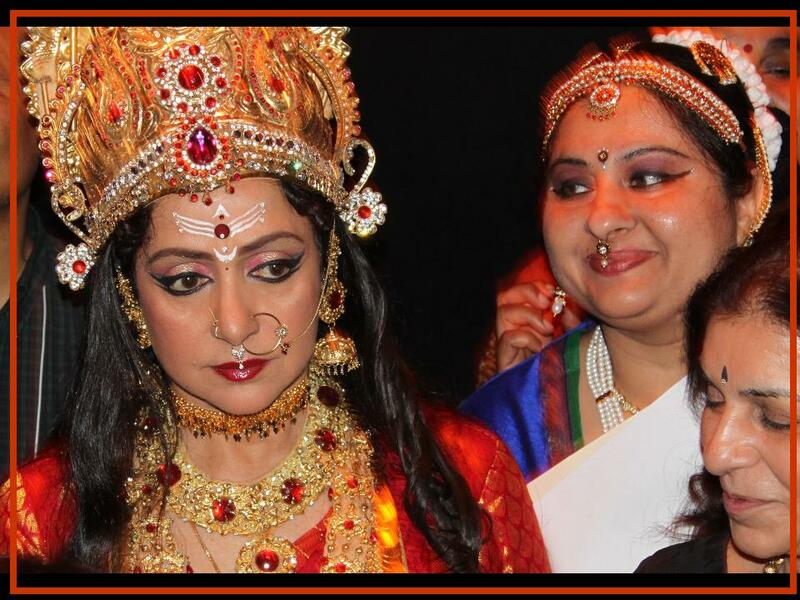 We worship Saraswati, Durga, Laxmi in India and why we hurt our own women? "Any young man who makes dowry a condition of marriage discredits his education and his country and dishonors womanhood". - Mahatma Gandhi. 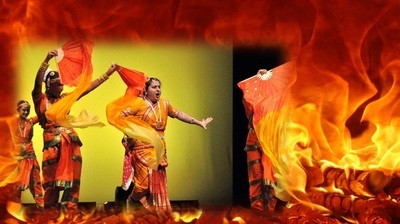 The best Thermometer to progress of a nation is its treatment of its women. 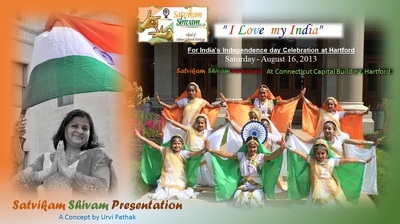 – Swami Vivekanand. Satvikam Shivam School is very PROUD of this bold social message through Bharatanatyam performance. 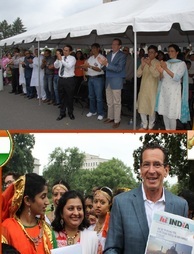 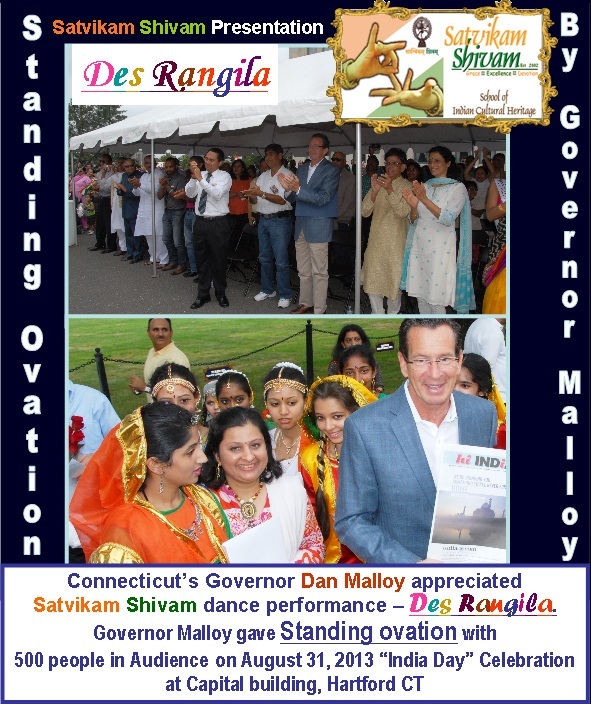 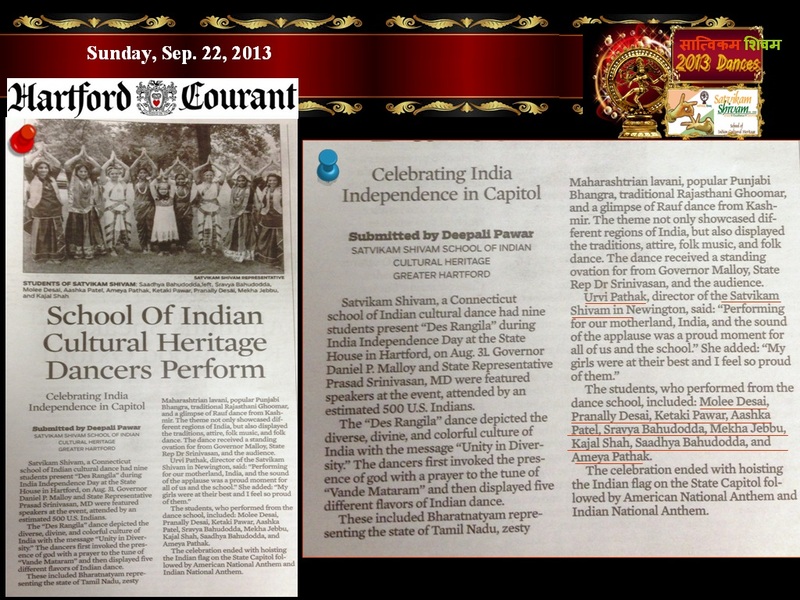 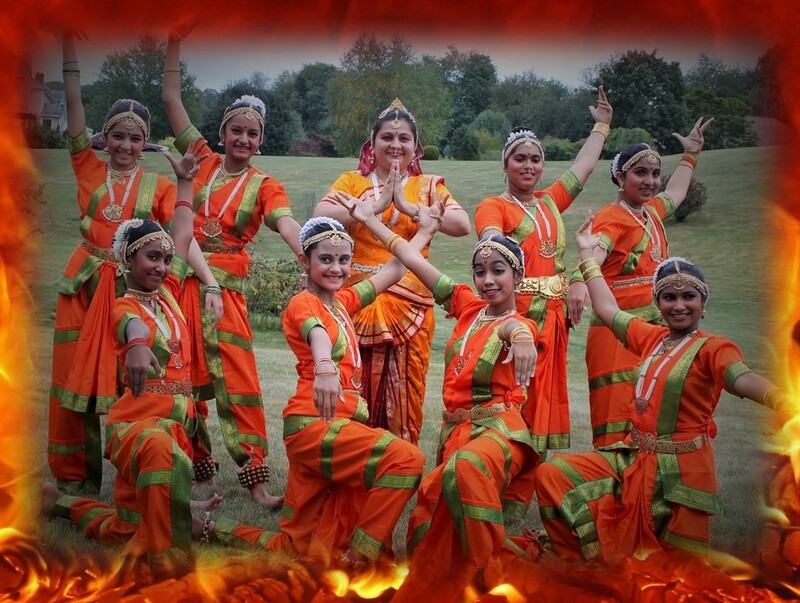 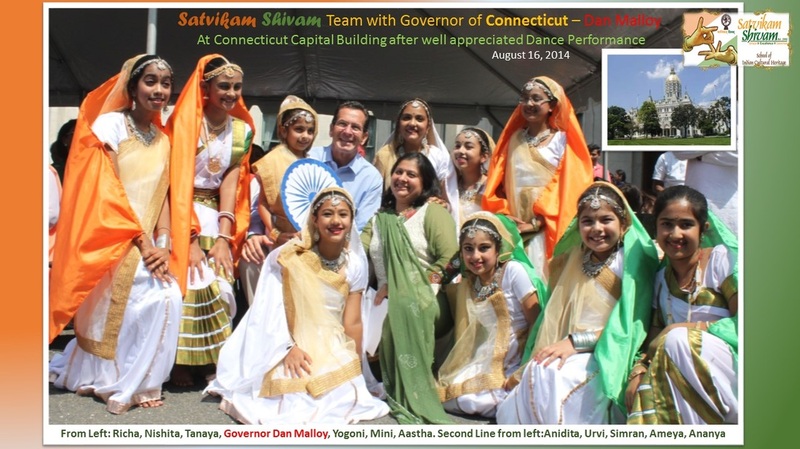 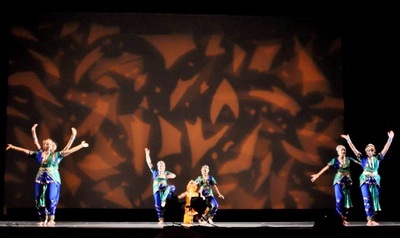 The Indian Theme dance presentation " I Love my India" presented at Connecticut State Capital on August 16, 2014 in the grand presence of Connecticut's Governor Dannel P. Malloy. 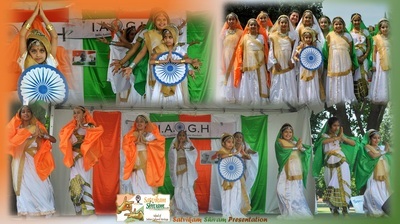 This well admired presentation is a celebration of India' diverse, divine and colorful culture of India. 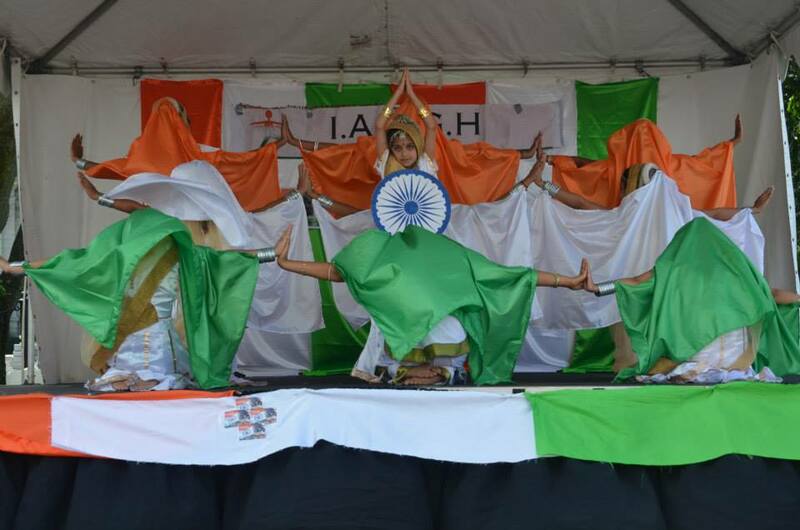 3 colors of India’s Flag – Triranga (Orange, White and Green) patriating India’s cultural values and traditions. Hema Malini’s Durga Event, Hanover Theatre, Worcester MA on Jun-30,2014. 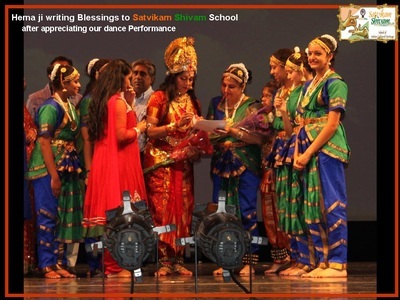 Satvikam Shivam School, Urvi Pathak & Students received her blessing after wonderful performance by school.